One man has been arrested and police are stilling looking for a second suspect involved in the shooting of a 20-year-old man in Jackson. 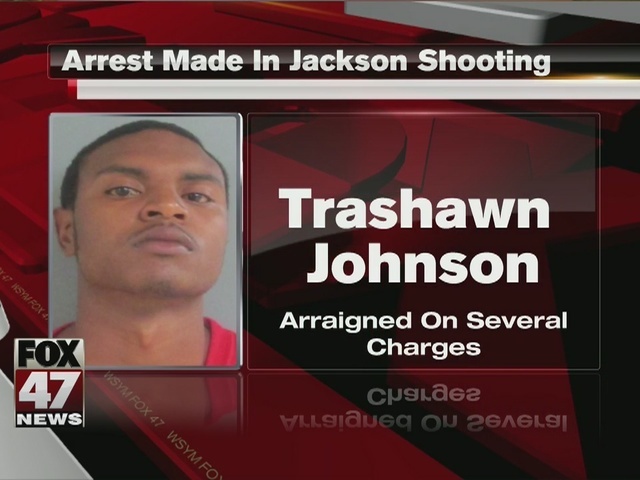 Trashawn Johnson, 19, was arrested on Monday after a warrant was issued through the Jackson County Prosecutor’s Office. Johnson was arrainged on Tuesday and is being held without bond on charges of armed robbery, assault with a dangerous weapon and carrying a concealed weapon and a felony firearm charge. The shooting happened in the 400 block of Steward Ave. around 8:15 on Sunday. When police arrived on scene, the victim was found with a single gunshot wound to his side. he was transported to the hospital where he underwent surgery. Police are still looking for Shontez Smith-Flowers, 18. The Jackson Police Department is asking the public’s help in locating Smith-Flowers. Anyone with information can contact Det. Holly Rose at 517-513-1412 or anonymously to the Crime Stoppers of Mid-Michigan at 855-840-7867.